Just wanted to thank yourself (Brian), the two Ian’s and Steve, for arranging such a fab visit as far as Tophill Low Nature Reserve near Cranswick on Saturday. From the moment we got on the boat 'til it was time to get off, the whole trip was brilliant. Thank you. It was great to see our local area from a different site, I loved the “road to the tip” bridge being raised up, and seeing all the fancy house boats on the river too. And it was rather strange to find that I had 5 more work colleagues aboard too, in fact, it was almost an NHS day trip! Myself and Denise are hoping we win your raffle prize of another trip aboard; however, I did leave my email address again as I would be very keen to do the Humber/The Deep trip next time. The weather was kind too, as I’d envisaged rain all day but it was actually quite warm and pleasant. 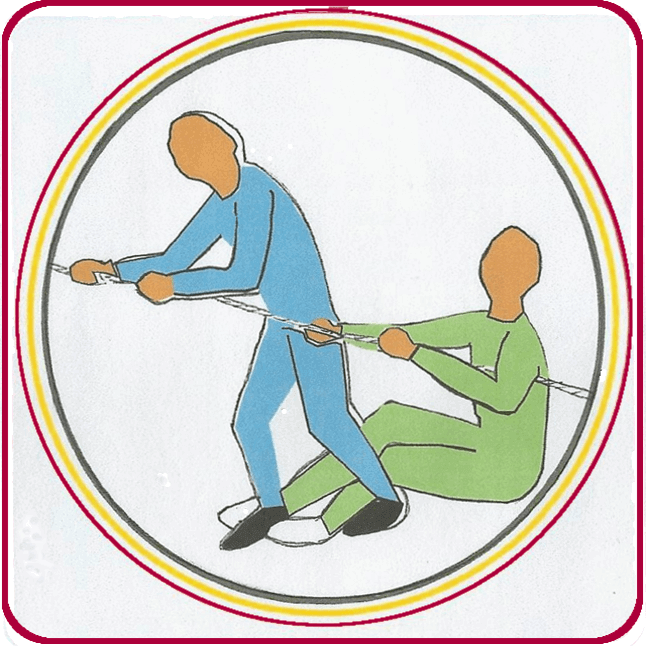 So it just remains for me to wish you a massive Good luck with the Barge Pulling Weekend – I am afraid I am out of Yorkshire then, but I hope you get even more people interested to step aboard. I would like to say a big thank you to Iain and the crew from myself and the ladies for a fantastic trip on the Sun. We knew we would be ‘third time lucky’. We even got the sunshine. We will definitely be booking again next year. 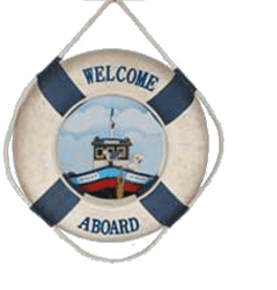 To all the crew of the Syntan - A very big thank you for a wonderful sail down the River Hull and back on the 1st August. Although the weather wasn't perfect it didn't spoil the day and was thoroughly enjoyed by all on board. Just a note to say thank you to you and the crew for last Friday. My friend visiting from Alnwick was very pleased with her view of the Hull and countryside. We've lived in Beverley since 1977 and this was the first time we've made it either up or down the River Hull. I thought the crew dealt magnificently with the little problem that stopped the engine. Also you were all good enough to keep us well informed re the repair progress as well as supplying refreshments. Thanks again for a memorable and interesting day out. On Sunday August 16th at the Hull Folk Festival my wife and I performed on the Syntan stage. This was a first for us as we sang outside using PA for the first time and also performed on the Syntan. We enjoyed the whole thing and were even more pleased upon being informed that we were to be paid for enjoying ourselves! We debated what we should do with our fee and decided that as we had not expected to be paid, we would donate it to the Syntan. Many thanks for hosting the event. I am writing to thank you for the wonderful day we had with you for my sister's hen weekend. Your warm hospitality was greatly appreciated and, despite the bad weather, everyone had a fun filled, memorable day and enjoyed the food and drink immensely. Our thanks to our guide on the MV Syntan this morning for his obvious passion and enthusiasm for these fascinating vessels. We would all like to say a massive ' THANK YOU ' to you all for letting us experience the pleasure of sailing down the river Hull on your lovely boat ' the Sun '. We had a fantastic day. Lovely boat, lovely weather and a lovely crew; what more could we have hoped for. We all thoroughly enjoyed our trip on the Sun, it was a great way to celebrate my Dad's birthday. We will keep an eye out for the other trip next year. Many thanks, hope to see you all soon. Could I take this opportunity to thank all concerned with the restoration of the MV Sun and especially Captain Ian and his crew for making my 50th birthday celebrations get off to a brilliant start. My friends and I had an absolutely fantastic day aboard the Sun and would highly recommend it for a superb day out on the river, your hospitality was second to none. Thanks again for a fabulous day out and look forward to seeing you all again very soon. St Mary’s Church of England Primary School had a school trip to the Syntan and all the children wrote letters about their visit. All were lovely to receive and here are a few extracts. ….I learnt it was built in 1949 which was a long time ago. It was a brilliant school trip. I liked the beds but they didn’t look as good as my bed. I’ve been on a barge before but Syntan is much bigger! My favourite bit was when we saw how small the bedroom was. How do they sleep? It must be very squashed. The trip was the best ever. I’m going to bring my family along. I enjoyed learning about how the boat gets all the food and drinks from Hull. I learnt that there’s no such things as crocodiles and sharks living in Beverley Beck. I am writing this letter to say thank you for letting us go on your magnificent barge, it was absolutely beautiful. I learnt that left is port and right is starboard and that the boat was built in 1949. I learnt that you need to keep the cabin tidy at all times … and would like to learn more about the olden times, like in the 1980s. On behalf of the Blackburn Leisure Pensioners' Association please accept our thanks for your short presentation about the restoration of the Syntan. The members enjoyed meeting you and your colleagues. The Syntan Barge trip is a memorable experience for groups with all interests; social, educational, natural and historical. I enjoyed a summer cruise from Beverley down to the Humber with a group of friends. A magical, peaceful and relaxing experience, seeing the countryside and city of Hull from completely new angles and unrecognisable perspectives. Every few hundred yards brought a different story or piece of history. Syntan is perfect for anyone looking to learn more about local history, the natural environment or simply seeking the perfect chill out afternoon! To all members of the Crew of Syntan I am sorry that I did not get the opportunity to thank you for all your services to us at Praise by the Bridge on Sunday 18th July. It was a wonderful start to our celebrations seeing you come up the river, and with the Archbishop of York in the cabin who certainly enjoyed the experience, as did the children on board. 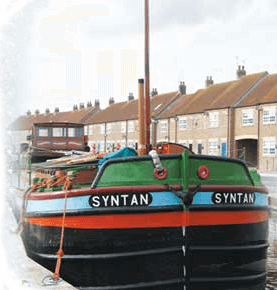 Thank you very much for a glorious and memorable afternoon on Syntan from Stainforth to Keadby. Thanks again and all the best for the coming year. Thank you very much for the lovely day my sister and I had on your boat. I’ve never had such a peaceful day in all my life. No traffic, no music blaring out. No mobile phones ringing. It was like heaven. You kept us well informed of what we were doing and seeing. I have never seen a cormorant or a heron in my 85 years but you showed me them. You waited on us and supplied us with tea and coffee. I might tell you that I’ve done nothing but sing your praises. So once more thank you all for a lovely day.